From Washington DC we made good progress albeit a little dull bar stunning sunsets and a handful of deer sightings, the highlight being the high speed glimpse of a new born fawn with it’s mother licking it as it learned to stand. Once in South Dakota however things got a little more interesting. First of all psychedelic signs for “Kids Love Wall Drug” and other blander Wall Drug slogans started to appear along the roads. Our interest pricked we googled Wall Drug and were dully enlightened to a truly brilliant story of success in the face of adversity. Click here for the full story, but in brief, Mr Ted Hustead, a young pharmacist, and his wife Dorothy, the true hero in the story, bought the run down Wall Drug Store in 1931. The town of Wall at the time was in the arse end of nowhere and all the 200 odd inhabitants were stone broke. 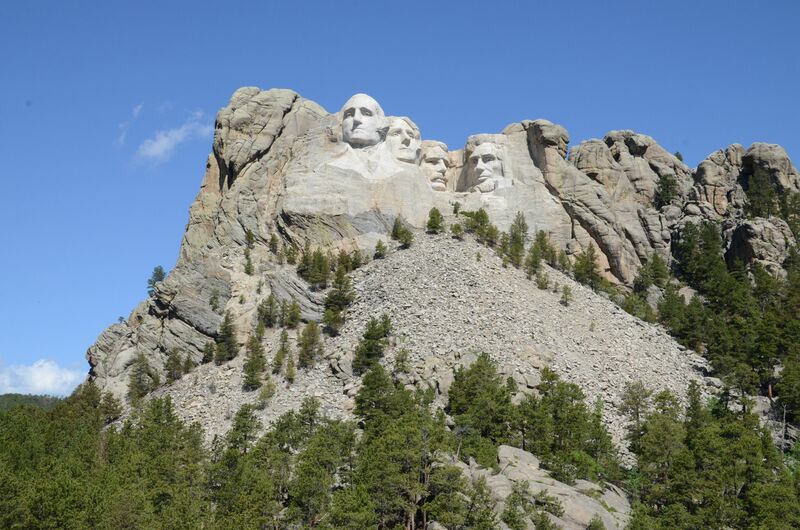 It was however enroute to what would be Mount Rushmore, or as Alfie renamed it, “The Big Face Place”, and towards the end of the miserably hot journey across the Great Plains for it’s visitors. After nearly five years of struggling by in their quite store with a room fashioned from a blanket across the back Dorothy Hustead had an idea. One of the simplest and best marketing ideas this world has ever seen and it remains a valuable lesson to us all… Lets put up some billbords on the main road offering free ice water for thirsty travellers. By the time Ted got back from erecting the first signs the customers were already rolling in for their ice water and buying other goods at the same time! And now the business, still family owned and run is one of the USA’s biggest roadside attractions and turns over $10 million per year. Obviously we planned to stop and see the spectacle and despite low exceptions for the world centre of tack-ville, which it turned out not to be, we were in fact pleasantly surprised by decent souvenirs, a well presented history of the area and the business and of course plenty of free ice water. On our way to Wall, having survived an impressive thunder storm with fork lightening crashing down to earth in the fields all around us, we then virtually stumbled upon the Badlands National Park. Not realising there was access from the route we were on we were pleased to detour from the boring interstate and took the scenic route through this incredible landscape which seems to come out of nowhere. After our exploration of Wall Drug we pressed on to Mount Rushmore but arrived to discover the entire place in a thick fog that meant we had no chance at all of seeing the Big Face Place. So we stopped over night in a hotel and went in the morning, which was beautifully warm with clear blue skies. 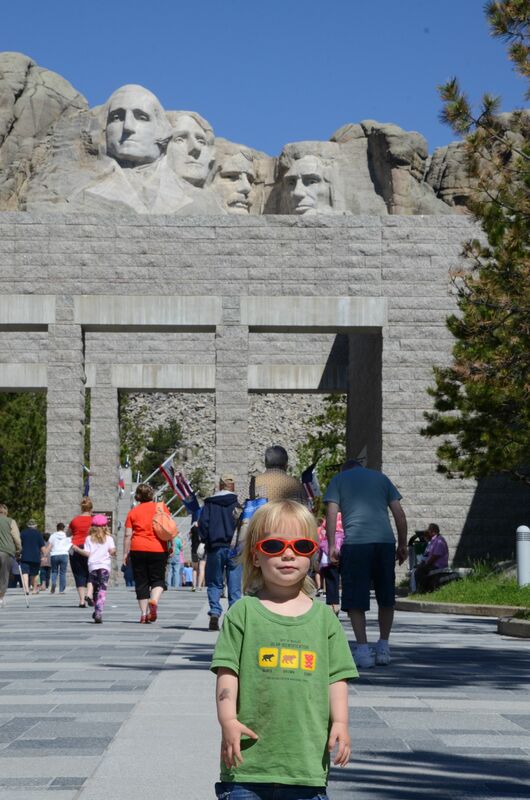 Wow… if you haven’t been to Mount Rushmore then do… it is impressive! 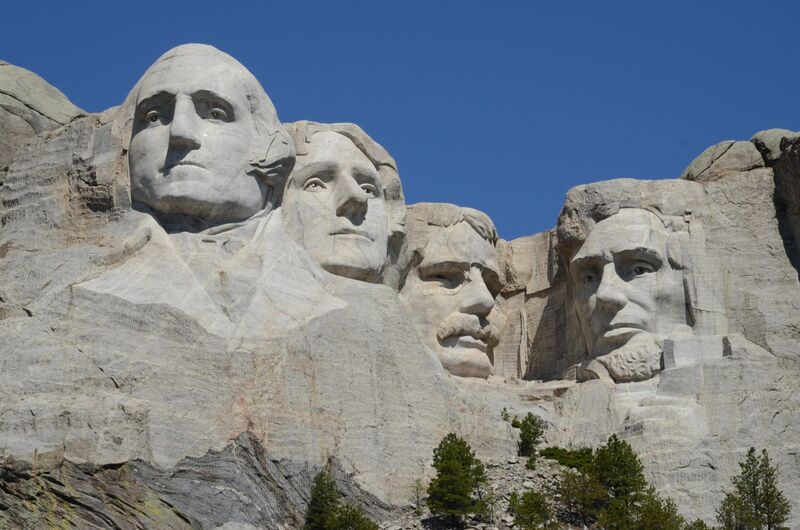 To think of the work that when into carving the faces of the Nations forefathers into the jagged mountain cliffs is staggering. In fact just the conception of the idea itself is staggering let alone the execution of it. And it is beautiful. The message and honour instilled within the sculptures too are humbling and awe inspiring. And then we headed on through the pretty Black Hills of Dakota singing Calamity Jane songs and on the look our for mountain goats, which sadly eluded us. 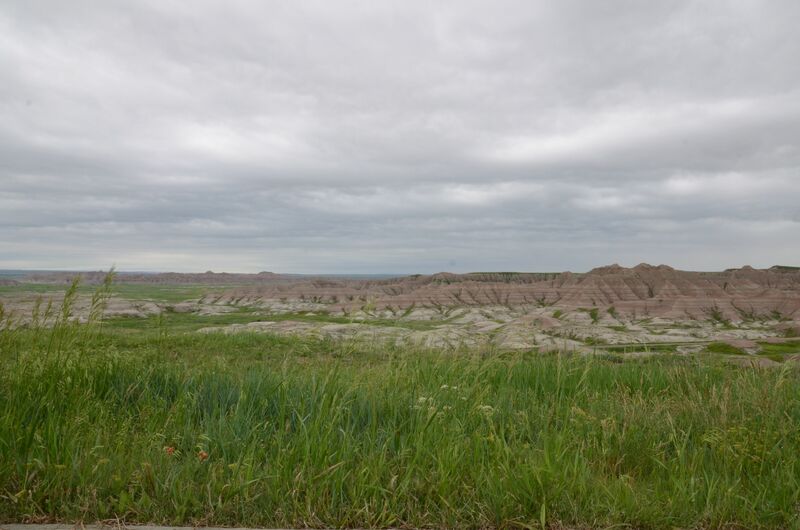 This entry was posted in Uncategorized and tagged adventure, Badlands National Park, Family Travel, Mount Rushmore, road trip, South Dakota, The Big Face Place, Thunder storms on June 5, 2014 by Muma Dean.